Gills Flowers is an independent florist based in Rose Green, serving Bognor Regis and the wider community with stunning floral creations. 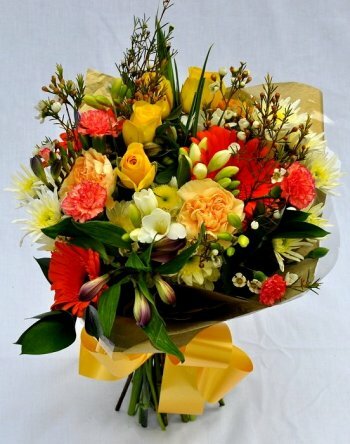 We take great pride in our attention to detail which results in floral designs of the highest standard and quality. We always go the extra mile to ensure that the flowers are exactly what the customer had in mind.We pride ourselves on our warm and friendly manner so when you are ordering on the phone you will always be at ease and confident of being advised in a professional and helpful manner. We provide flowers for your wedding day, for your expressions of sympathy, for funeral tributes, for your celebrations, for those special days, for the times when you cannot be there in person and for when you would like flowers to express your feelings. We use local growers whenever possible. We hope you enjoy browsing our new site. The photographs included are but a small selection taken by Gill exclusively of her own work. You're welcome to get in touch or call 01243 263860. One of the best ways to welcome your customers and clients is to have an amazing display of fresh or silk flowers in your reception area. For corporate occasions such as dinners and other social events then perhaps vases or cubes containing fresh cut flowers, which look wonderful, could be placed on each table. We are happy to loan vases, etc whenever possible. Consider sending a hand tied bouquet or an arrangement to a loyal customer in appreciation of their custom. If they have bought a big ticket item such as a house or car through your company you can say a special 'Thank You' with a floral gift. 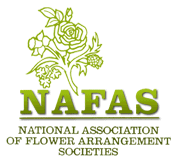 Gill is a fully qualified NAFAS (National Association of Flower Arrangers Society) area demonstrator and would be happy to present to your club or society. From Flower and Horticultural clubs to church and social gatherings, Gill's demonstrations are always fun and she loves more than anything to share her love of flowers with an audience.